And yeah, you’re right, and I haven’t forgotten the story I learned as a child. If you’re not familiar with it, it’s a story from the Bible where Daniel was miraculously saved from being devoured as lunch after being thrown to the lions by the King… good people then…. Now don’t start twitching and worrying that I’m gonna preach or anything… I mean… I COULD… but it’s not where I’m going here. Regardless of your personal view on the Bible I think we can all agree it does contain vast amounts of historical information…. and if you dig… some interesting tidbits to make you think. Thinking… is good…..
For example… this particular passage I’m using is known to me and I’ve thought for awhile about doing a blog on it. Recently, it’s come home to me that this passage is pretty relevant for our health and wellness today… which is why I’m using it to bounce off of. I’ll try and keep this brief…. King Nebuchadnezzar took over Jerusalem. He requested that some children of Israel be brought to him, both of nobility and royalty to be trained to serve in the Kings palace. He then assigned to them a daily portion of his rich and dainty food and of the wine he drank. They were to be educated and nourished for three years before they’d serve in the palace. Again, on a historical level, you must understand to Daniel, eating and drinking certain foods defiled him because they didn’t follow the dietary rules given by the Lord. Can we pause on these words…. “rich and dainty foods” Now I don’t know about you, but if I applied those words to foods today it would be those things that are high in fat, or sugars, tasty treats and would be foods that make me fat and pasty looking…not to mention leave me feeling sluggish. Oh, and then toss in the wine and you’ve got some serious feeding going on… and the potential for lots of calories…. Daniel is able to convince the steward to go along with their experiment. Just let that breathe over you for a moment….. the other guys were living the good life getting all the royal tasty foods and wines… then thanks to David and his entourage …. they get assigned the veggie diet. I’m wondering if there was some grumbling in the ranks…. veggies and water. Actually, I’m pretty sure Daniel did them a favor. I guess I’ve related to this story because I know how I look and feel eating more veggies, fruit, and water vs. other foods that aren’t as nutrient dense. You feel good, you look better, you’re giving your body real nutrient rich foods that shows in your appearance. Now Daniels choice was based on his religious convictions and from what I’ve read based on the Old Testament food guidelines he would’ve been able to eat foods, besides veggies, that fit those guidelines. This could’ve included fruits and nuts among other things. I’m not going to launch into all the possible dynamics of what he may or may not have eaten… the point is…. abstaining from rich indulgent foods and eating foods that are as close to natural has a positive effect on your body. Get this… when I started doing a little research there are actually diets called the “Daniel Diet” or “Daniel Fast”. I don’t endorse any “diet” however, pursuing an eating plan that encourages lots of good healthy food isn’t a bad thing. (just don’t get dogmatic on it). A couple years ago I was invited to participate in fitness challenge for 3 months. Part of it involved doing a particular eating plan for 30 days. 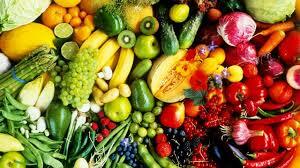 This plan encouraged lots of veggies, fruits, nuts/berries and some meat. No grains, dairy, pastas, beans etc. I found it to be very restrictive. On the good side, I learned to eat veggies at ALL my meals and to experiment with new ones. I leaned out pretty fast in that month. I liked how I felt eating more veggies. Maybe you are ready for your own 10 day challenge. That’s short enough to try something new and good you, right ? To see how it makes you feel ? Or maybe an experiment just to get you used to eating more veggies… to get on the right path.. You have nothing to lose and only improved health to gain, isn’t it worth a shot ? I like your analogy with the Daniel story! He had guts.